Matt is a timpanist, percussionist and dedicated teacher who performs with a great variety of ensembles across UK and internationally. He is currently Principal Timpanist and Percussionist of the Scottish Chamber Orchestra, a position he has held since early 2014. Originally from Bath, Matt attended the Royal Welsh College of Music and Drama and graduated in 2010 with a 1st class degree, winning the Gemma Sharp Memorial Award. Aside from the Scottish Chamber Orchestra, Matt regularly works with some of the UK’s finest ensembles including the BBC National Orchestra of Wales, BBC Scottish Symphony Orchestra, Royal Scottish National Orchestra, City of Birmingham Symphony Orchestra, Academy of St Martin-in-the-Fields, Northern Sinfonia, Welsh National Opera, Royal Philharmonic Concert Orchestra, London Concert Orchestra and Sinfonia Cymru amongst others. In 2014 Matt won a place on the prestigious Orchestra of the Age of Enlightenment’s placement scheme which developed his interest in period performance and use of period instruments. Matt is a keen chamber musician. Recent projects have included a workshop and performances of Bartok’s music for two pianos and percussion, and an exciting new collaboration for percussion and cello. Aside from performing, Matt is a passionate teacher. 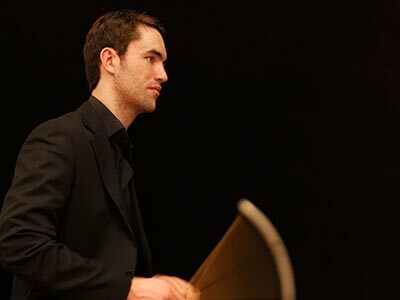 He works with some of the country’s most talented young percussionists at Wells Cathedral School and has tutored with the National Youth Wind Ensemble, National Youth Children’s Wind Ensemble and other major youth projects. Matt has delivered masterclasses at St Andrews university and works extensively with Scottish Chamber Orchestra Connect department on a vast array of projects for players of all ages.